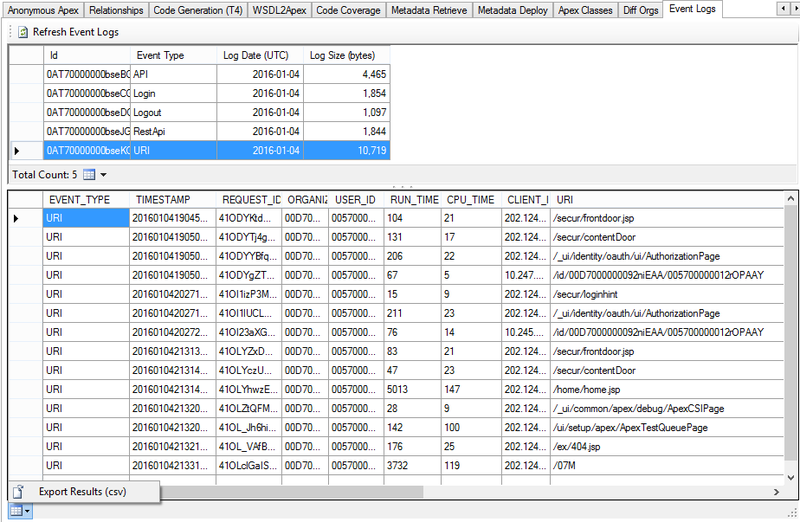 The latest v2.12 release of the FuseIT SFDC Explorer now supports a viewer for the Event Log API. 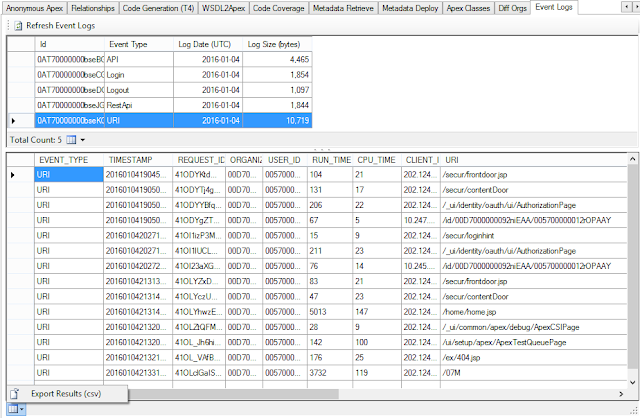 This can be useful if you want to quickly browse the Salesforce Event Log content without having to process the base64 encoded CSV content from the LogFile field of EventLogFile. You can also export the CSV to open it in an external tool, such as Excel. The LogFileFieldTypes and LogFileFieldNames from the EventLogFile are used to improve the formatting of the log file.